Fourteen months of wage negotiations have ended with Bupa Aged Care agreeing to an increase of 11.25 per cent over three years for nurses and carers. 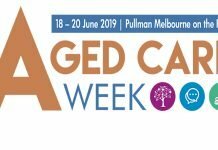 More than 1000 aged care employees took part in protected industrial action over the course of a month, which affected 26 residential aged care homes in Victoria. In addition to the wage increase, the new enterprise agreement includes improvements to workplace entitlements and workload management and significant changes to Sunday penalty rates, protection of accrued long service leave entitlement for employees transitioning to retirement, recognition of part-time employees’ regular additional hours, ability to use personal leave as family violence leave, improved parental leave and electronic-learning clauses. Bupa staff rejected the company’s original offer of a 2.1 per cent pay rise in a one-year agreement with no other changes. Australian Nursing and Midwifery Federation (ANMF) Victorian branch acting secretary Paul Gilbert said industrial action was taken as a last resort because its members felt Bupa was not listening to them. 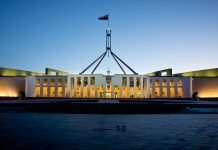 “Bupa’s initial offer would have kept its nurses’ and carers’ wages in the bottom 10% of aged care facilities,” Mr Gilbert said in an interview with Health Times. “Nurses and carers took 37 days of action, including three days of full shift strike action and a 400-strong rally outside Bupa’s Melbourne corporate headquarters, following stop work and community rallies held across the state. Mr Gilbert said improved staffing levels, with more registered nurses, enrolled nurses and personal care workers every shift needs to be the next step for all aged care providers. 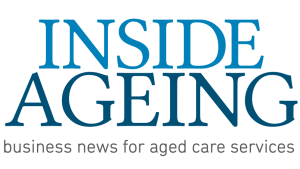 “Inadequate staffing levels in aged care has become so normalised in a profit-driven aged care sector that employers appear blind to the consequences,” Mr Gilbert said. “Bupa nurses and carers should be proud that their unprecedented industrial action has put a spotlight on aged care staffing numbers and is prompting people to ask what is a safe number of nurses and carers to look after our elderly loved ones.